Anthony Rhys: Two items from Welsh Asylums. Two items from Welsh Asylums. With a great interest in Victorian institutions I'm always on the look out for artefacts from them. This post is about three items in my collection. "Hi, I am a psychiatric nurse by background, retired 2 years ago after 38 years. One of my hobbies over the years has been to collect mental health ephemera. I originate from North Wales and worked up there as a community psychiatric nurse from 1984-1991. I was given these by a retired ex North Wales Hospital nurse who knew I was collecting things back in the mid 1980's. I have seen similar items in the old West Cheshire Hospital museum when it was open (I trained there in 70s) so have no reason to dispute what he told me they were. He picked them up during his years at the hospital." 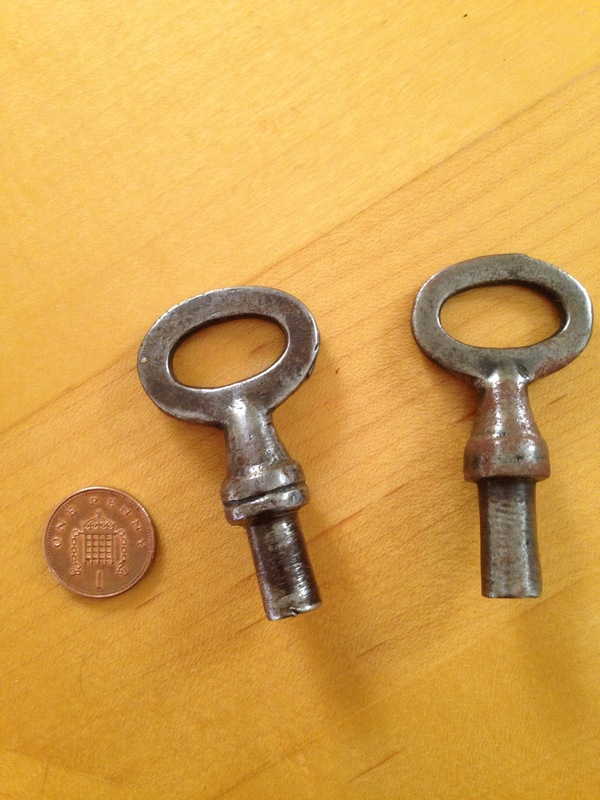 There are two metal keys, both slightly different designs to each other. They both have a 'screw' pattern inside them. 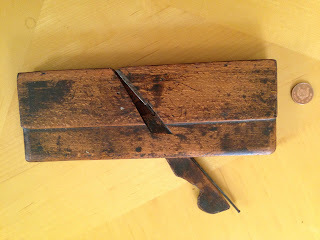 The screw pattern would, when twisted, have moved a 'peg' that was in the strap attachment that went through a hole in the boot strap itself to secure it- making it impossible to take off without the keys. They were used on patients who constantly removed their shoes, I guess under the reasoning that they needed their feet protected against the cold and the floors. Dating is difficult but I'd say they are from the 1880-1920 period. They are very similar, but not identical to these on the People's Collection Wales website. They also have the locks that went on the boots as well. The second item is a carpentry plane. 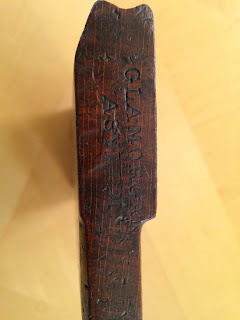 It is stamped 'Glamorgan Asylum' on each end. Asylums had workshops used to train patients in a trade- an occupational therapy approach. The plane is a fine bladed type used for fine details. It was bought from someone who worked at the site during some construction and they found a whole load of them in a skip.